Peterborough, ON-based indie rock eclectics Television Rd have unveiled a new video for the first single off their forthcoming album Banshee Cypher, and Exclaim! has got your first look at it. "Lavender Town (Hula Hoop Dream)" is a dreamy, psych-tinged number, while the video itself takes viewers on a tour of life in Peterborough. Scenic split-screen shots showcase the town's proximity to gorgeous nature, as well as giving glimpses into student life at Trent University. 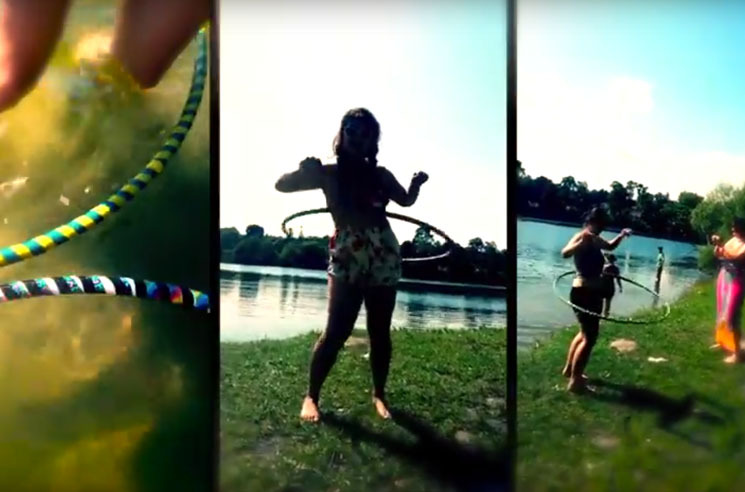 And, as the song's title implies, there are also some avid hula hoopers that make it into the final cut, plus some spoken word via Erin McLaughlin. All of the footage was captured by the band's Sara Ostroska using Snapchat, and you can see watch it all come together in the player below. Banshee Cypher will be released on October 2, and the band will play a hometown show to mark the occasion that same evening at the Red Dog.